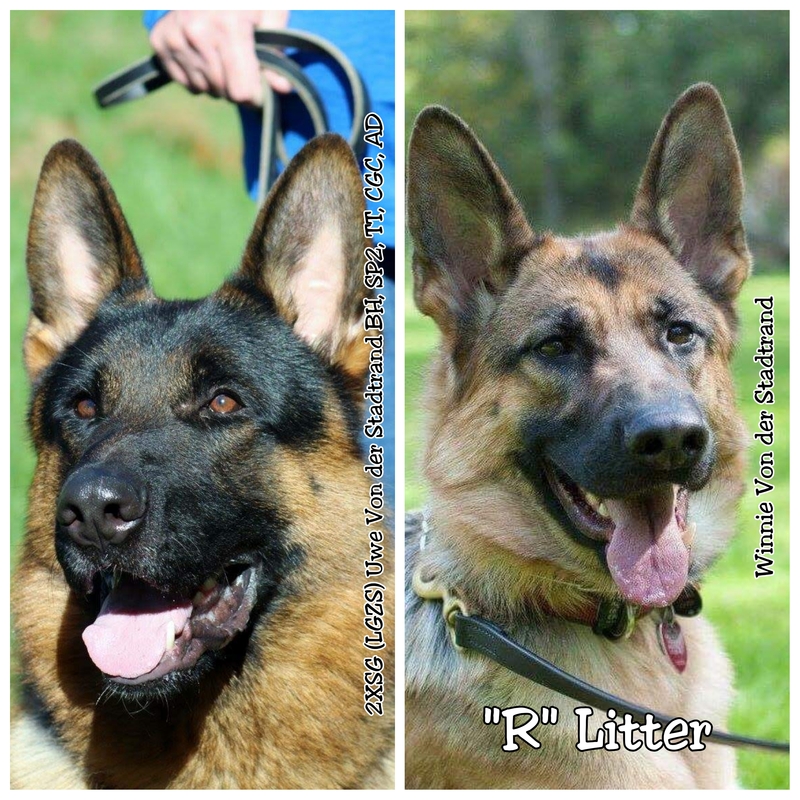 From this litter we expected exceptional working dogs with rich red pigment, large bone and dark masks. The will be superb family dogs with excellent health and temperaments. Our puppies are available to show homes, working homes, and pet homes. All puppies are sold with a written hip and health guarantee, up to date on shots, as well as AKC registration papers. Puppies are priced at $2500. We are now accepting $500 deposits to reserve a puppy. Please call Clayton at (414) 628-4071 for more information. From this litter we expect large bone, rich black and red puppies with strong nerves as well as exceptional health and temperaments. 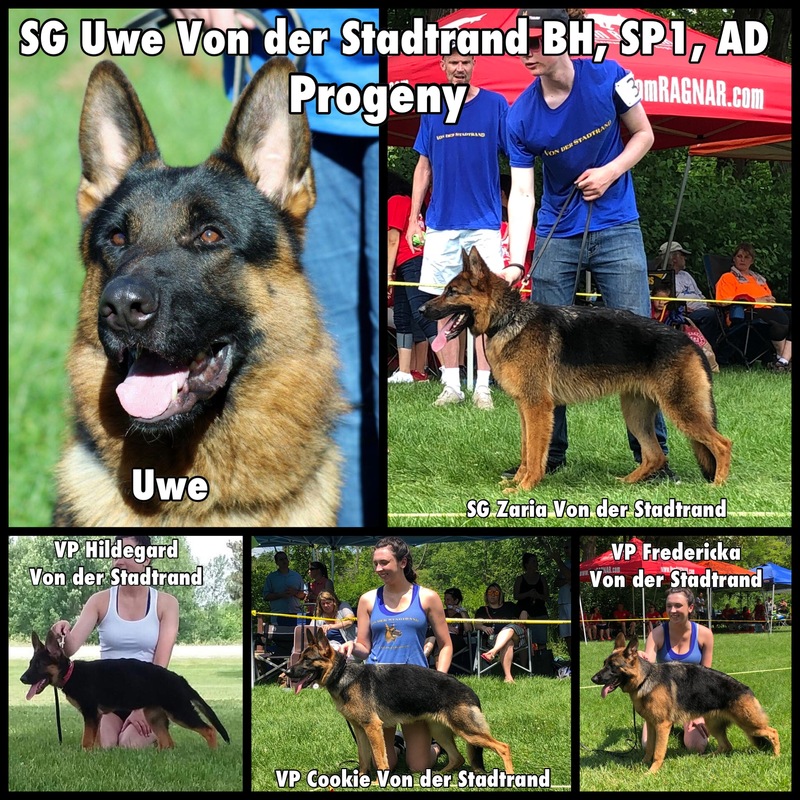 Uwe had 4 separate female dogs, from 3 different mothers, shown at the 2018 Midwest Regional Conformation Show this summer. All 4 of these Uwe progeny received the highest ratings in their class. This identifies Uwe Von der Stadtrand as a super producer. 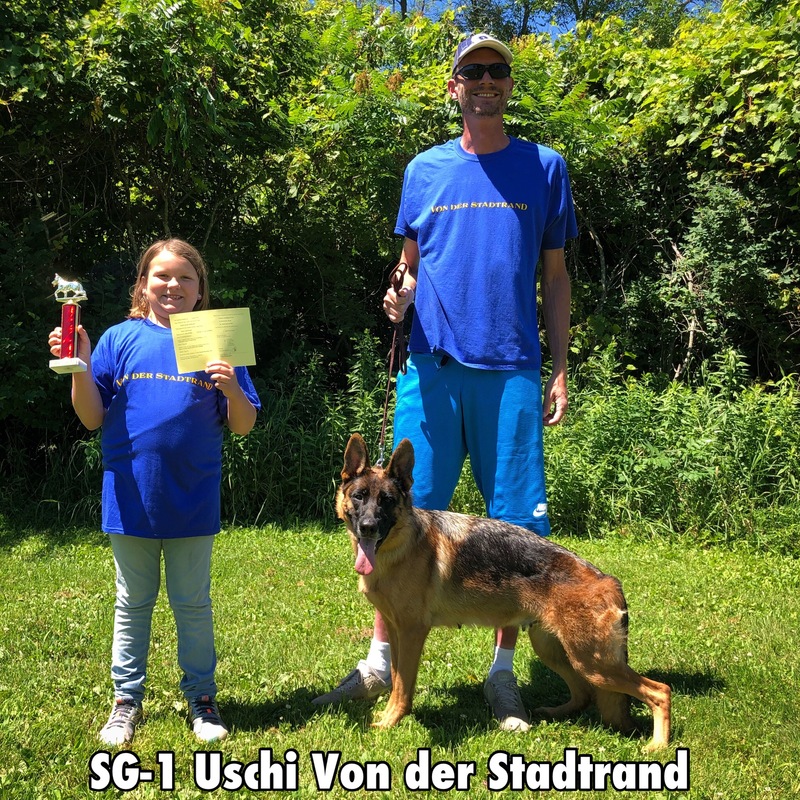 Uwe's littermate sister, Uschi Von der Stadtrand, is the 2018 Midwest Regional 1st Place Champion Open Class Female.